For those Hitec radio users amongst you, particularly those who are struggling with only having 9 channels to play with, here is something that was posted yesterday by Hitec Customer Support on another forum. We understand the lack of channels with our 9 channel system. I of all people get that being that my 35% is maxed out with all 9 channels being used (4 aileron servos, 2 elevator servos, 2 rudder servos, and a throttle servo). We are working on a new transmitter with 16 channels that will solve that problem, but I don't have any further details about it to give out, other than we may see it sometime within this year as far as testing goes. The Aurora 9X, Flash 7, and Flash 8 transmitters will let you control 2 Maxima receivers at the same time which is what I am doing on my giant airplanes for better redundancy. Optima you can only use one at a time due to the telemetry interface. This has been rumoured and hinted at for some time on RCG, but there is never any date. It is a shame as the Aurora is a nice and highly usable bit of kit, but I fear by the time this new set emerges it will stand little chance against the latest offerings from Spek, FrSky, Graupner SJ and at the top end Jeti; I know a number of Hitec users who have already given up and moved elsewhere for more channels and functionality. Being a glider guider only, I have no need for more that 9 channels. However, for me an improved telemetry system, similar to Spekky or Graupner that speaks to me telling me my height as well as the rise and fall beeps is what I am looking for. I believe the Taranis does this also and I had been looking to by a used tx for this purpose, but maybe I'll hang fire until next year and see what Hitec come up with. Yes Vario is a Hitec weak point (which is strange as Multiplex have a very good vario), I know one Hitec user who's gone to Jeti and another who's bought a stand alone vario. However, for me an improved telemetry system, similar to Spekky or Graupner that speaks to me telling me my height as well as the rise and fall beeps is what I am looking for. The Taranis does exactly that. The high precision vario costs under £20, and no telemetry module is needed. It is easy to swap between models. 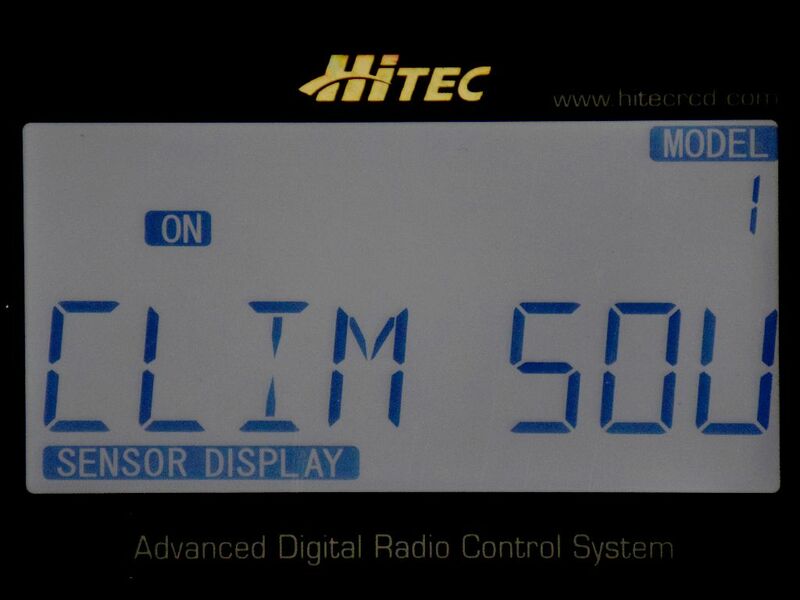 Yes, that hit me to, I found a reasonably priced second hand stand alone vario on the BMFA classifieds to get something for the short term rather than making a large change in radio kit to see if something better Hitec does come along in the next 12 months or so. I still find the Aurora amazingly easy to live with in terms of setting up models. We have a chap in our club whom moved from Spektrum to an Aurora, and he now hates it. He finds the programming just awful. Isn't it strange how subjective judgements and opinions of the same item can be so different? Is it really that strange? If we all worked and thought the same way, we'd all be buying the same model planes, and even driving the same cars. We are all unique, and what a good thing it is too. I know Hitec had a vario quite some time ago. I have a vague recollection that Hitec pulled it after a few months for reasons I can't recall. J Perkins currently list the vario with a "New" flash next to it, so perhaps it's a new version. Back to the 16 channel Rx though, I can see it's uses but I wonder how many people often need so many channels. If there's a demand though, well then it's got to be a good thing. Ian, from the Hitec users I know the problem is that although they have a sensor you can't get rising and sinking tones like with other varios. Oh, that the voice module doesn't work with the vario is a bit of a surprise but that it doesn't return any rise and sink tones sounds pretty useless. That being the case I wonder what he vario does do. There appears to be Climb and Sink tones on my Tx though, not that the manual mentions them, I think that's because the Tx firmware is newer than the V2 manual. I tried using these with the GPS module which didn't do anything so thought they were for the vario, I must be mistaken. Looking at other threads, here and elsewhere, it appears that this vario does produce tones. Perhaps it's the poor instructions that's causing confusion? Ian, is your radio an Aurora? also are these just an alarm for climbing and sinking or are they proper vario tones. Proper vario tones have one pitch for climbing an one for sinking, the tone increasing in intensity the faster you are climbing or sinking. 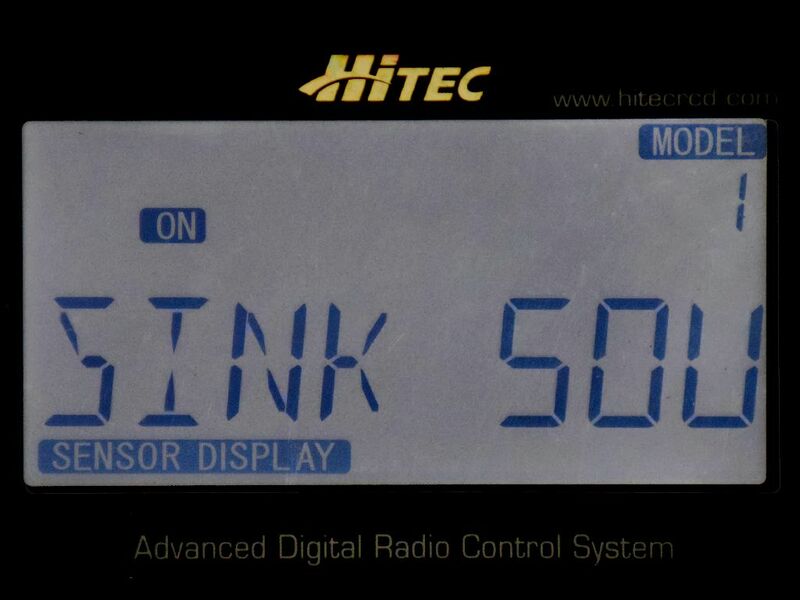 On my set you can also set a natural sink rate so the sinking tones only come on when you are sinking faster than that. But if Hitec do have new radio coming along with inbuilt voice they will most likely have addressed this. Maybe the new flash series have already covered this. That looks like the Eclipse 7 Pro screen. Frank, as far as I can tell , it's the same tone for climb and sink, the sink "beep" being longer. As the rate of fall or sink increases the speed of repetition of the beeps increases. So perhaps not strictly a vario as you describe. Ian, that doesn't sound far off a normal vario, just that the 2 Aurora 9 users I know couldn't get vario tones out of their sets. Frank, I wonder if the A9 users you know where affected by the problems with the earlrlier versions of the vario? I know they were withdrawn in the US and became unavailable here (because I was going to buy one at that time). Hitec USA has chosen to discontinue the Vario and any combos including it at this time until its implementation can be improved.
. The hardware is valid, it's the ability to get the data to the pilot that is lacking. - Mike." I don't have an A9 so I can't suggest make any solutions other than to contact the suppliers (perhaps already done?). I'm conscious that all this vario stuff is a little off topic so I apologise for that. It was the beginning of last year my friend bought a stand alone vario, and that was after he spoken with the Hitec UK support. Hopefully this new Tx will fix any erm, "features" but that's not a lot of help to those already experiencing them.